Northland eBikes | Electric Bikes, eBikes, Accessories in Northland. Our ebikes are hill conquering, age defying, distance defeating, super empowering…and mega fun. 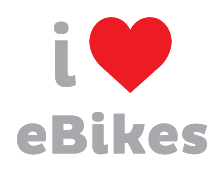 People ride ebikes for many reasons however there is one constant; the awesome experience! The ride takes you to your happy place and makes you feel like a kid again! Come and take one of our ebikes for a test ride and see what all the yahooing is about. Will enable your Bosch ebike to keep giving you power over 25km.